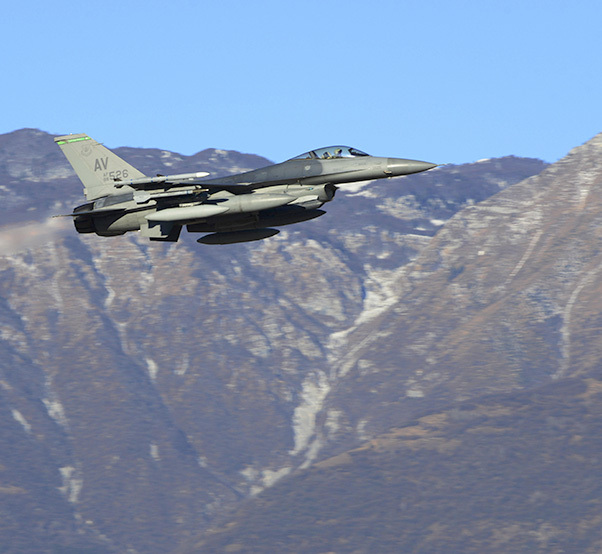 A 555th Fighter Squadron F-16 Fighting Falcon departs from Aviano Air Base, Italy on Jan. 21, 2016 to support a flying training deployment in Souda Bay, Greece. 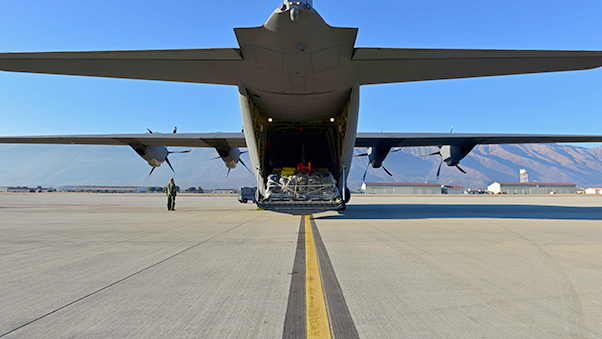 Fourteen F-16s, one KC-135 Stratotanker from the Arizona Air National Guard’s 161st Air Refueling Wing, and 280 Airmen deployed to Souda Bay to train with Greece’s Hellenic air force. 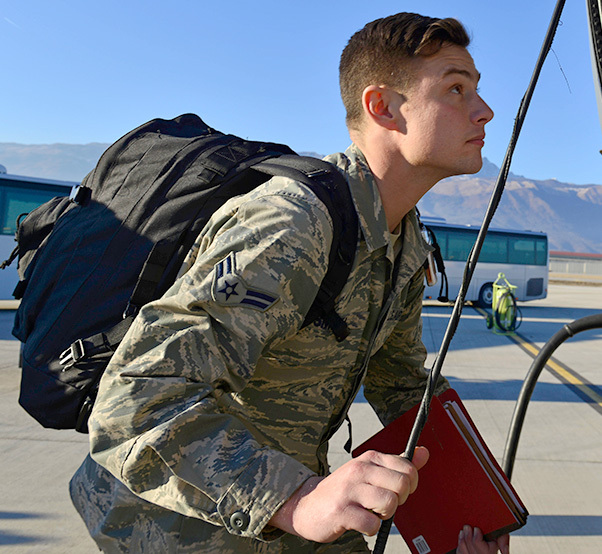 From Jan. 20 to Feb. 3, the 31st Fighter Wing’s 555th Fighter Squadron [Aviano Air Base, Italy] and Arizona Air National Guard’s 161st Air Refueling Wing are participating in a Flying Training Deployment to Souda Bay, Greece. Fourteen F-16 Fighting Falcons, one KC-135 Stratotanker and 280 Airmen are partnering with their NATO ally, Greece, to evaluate aircraft and personnel capabilities, and to train with Greece’s Hellenic air force. These training engagements are planned in advance to strengthen military-to-military relationships and increase NATO ally interoperability. 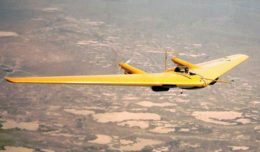 The scenarios involve combined flying operations between countries to identify and work through coordination concerns that may arise during real-world events. 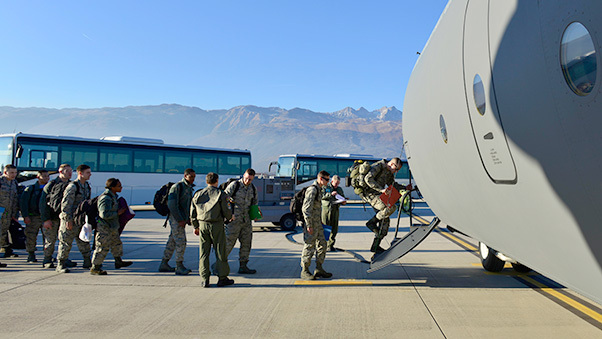 Airmen deploying to Souda Bay, Greece process through a personnel deployment function line at Aviano Air Base, Italy on Jan. 16, 2016. Engagements such as these strengthen relationships between the US, allies and partners, and demonstrate the United States’ shared commitment to a safe and secure Europe. An Airman from the 31st Fighter Wing boards a C-130 Hercules at Aviano Air Base, Italy on Jan. 21, 2017 on their way to Souda Bay, Greece. A C-130 Hercules prepares to depart Aviano Air Base, Italy for Souda Bay, Greece on Jan. 21, 2017. Airmen from the 31st Fighter Wing board a C-130 Hercules at Aviano Air Base, Italy on Jan. 21, 2017 on their way to Souda Bay, Greece. 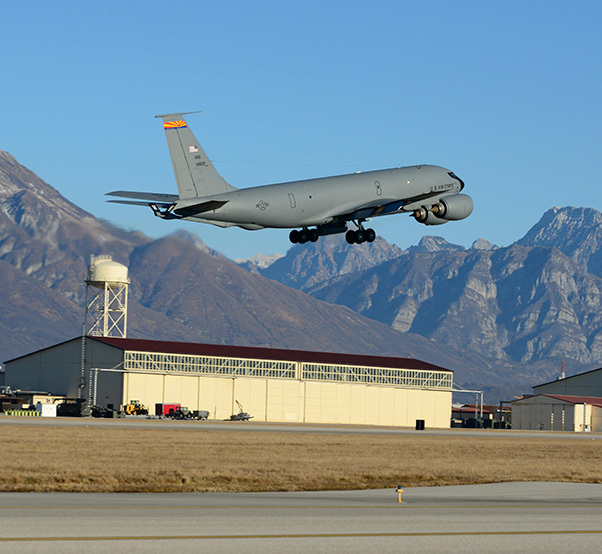 A KC-135 Stratotanker from the Arizona Air National Guard’s 161st Air Refueling Wing departs from Aviano Air Base, Italy on Jan. 21, 2016, for a flying training deployment in Souda Bay, Greece.